Here’s a recipe Jenn tracked down on The Kitchen that uses pumpkin puree. I’m a sucker for pumpkin, be it pie or beer, so I was excited to try it out. The mixologist who create this drink called it a Manhattan with hints of pumpkin and fall spices. 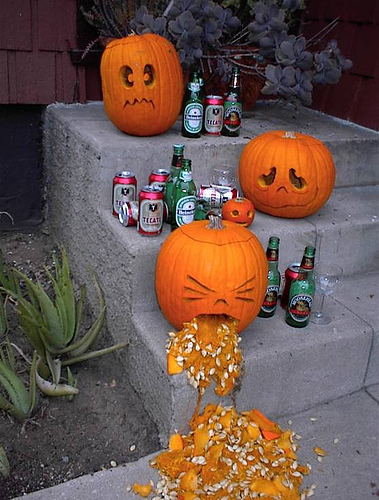 So, let’s drink some pumpkin-flavored boozed! I have a feeling looking at the ingredients that this one is going to be a bit more of a selective taste than some of the other drinks we’ve made over the past couple of days. Very pumpkin-y. It actually tends to grow on me the longer I drink it. The my first thought was that it was just a little bit too thick for my liking. However, with each sip it continues to improve. 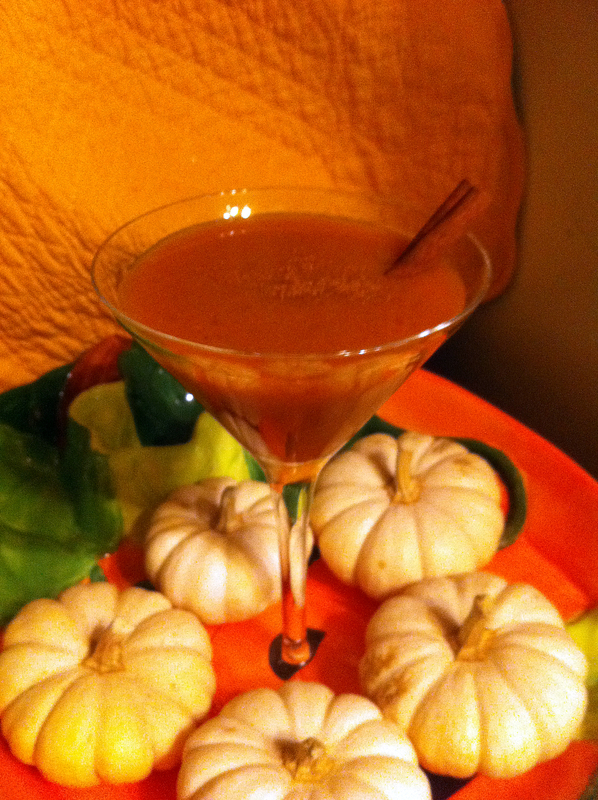 It has a very dark, autumn flavor to it (being pumpkin and bourbon and all). Like I suspected after reading down the list, it’s not for the uninitiated drinkers. A bit adventerous.